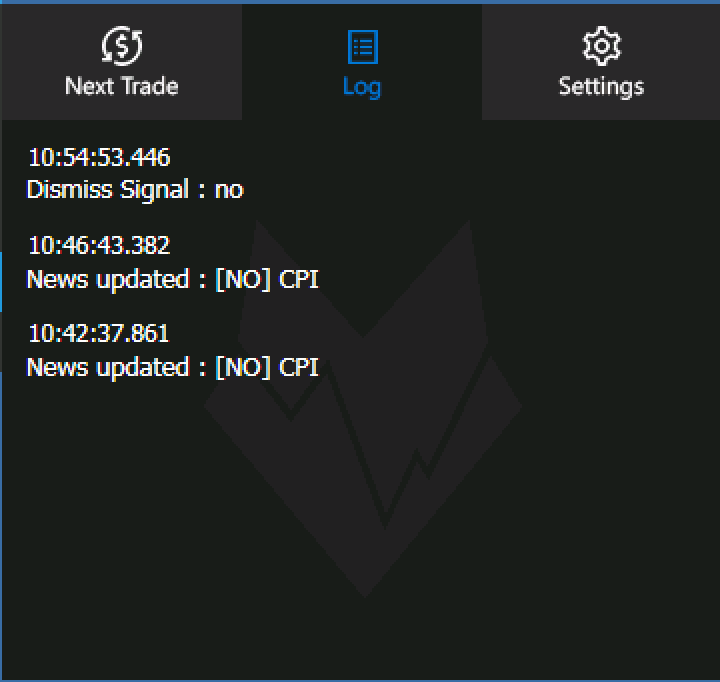 There are three Tabs in the Sidebar: “Next Trade”, “Log”, and “Settings”. “Next Trade” shows the name and triggers for the upcoming event. 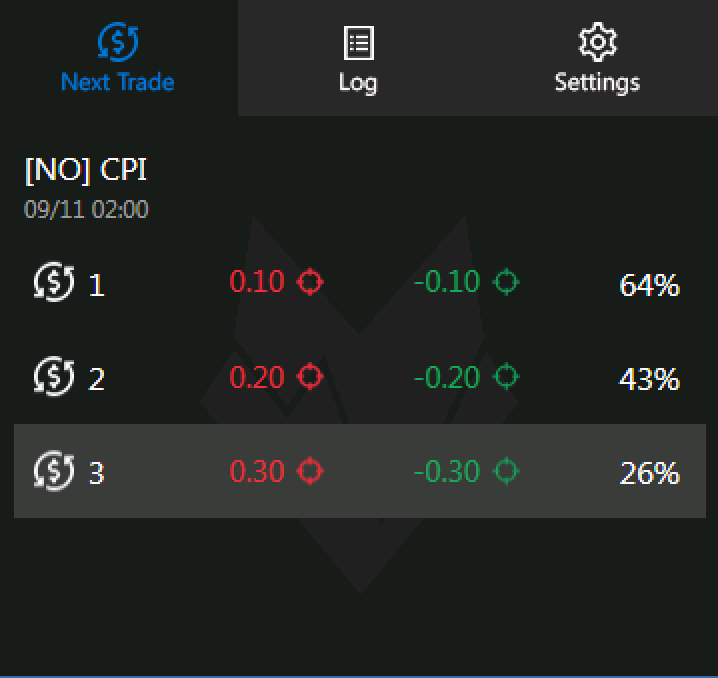 The first column shows the Sell Triggers, the second column the BUY Triggers and the last column the trigger probability. The probability is calculated by using historical averages for a specific deviation. The “Log” contains log files of signal-related actions and history. Here you can edit the settings of the FX BOLT. Take Screenshot This function makes the FX BOLT automatically take a screenshot of your desktop 5s after the signal. 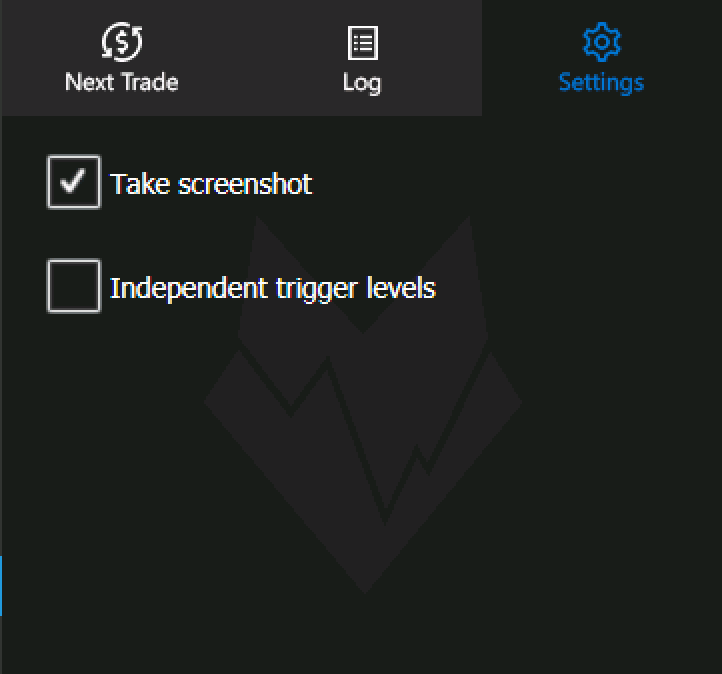 Independent triggers If this box is checked the signal for the lower trigger levels do not execute on a higher tier trigger signal. An S3 signal will only execute an S3 click and no S2 or S1 clicks.